This year we have created many new unique Christmas and Holiday gifts that we want to showcase for our corporate clients. 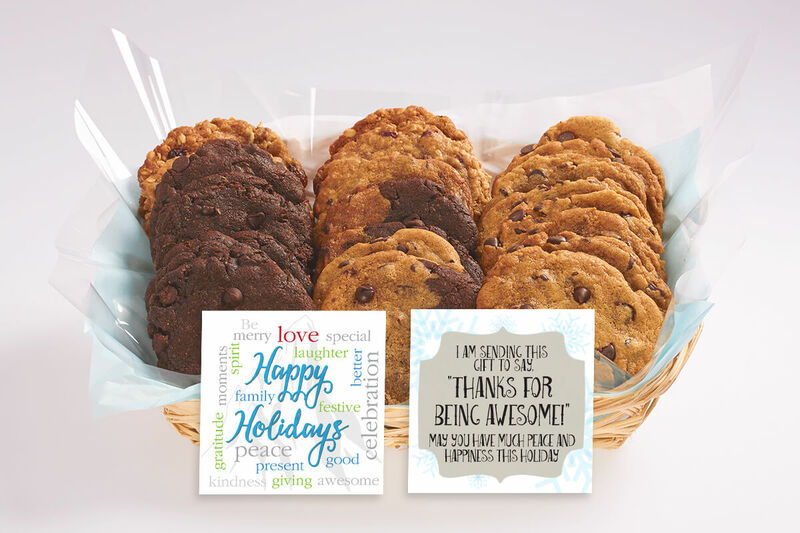 Each gift is made by hand with gourmet cookies that embody goodness. We put in the effort to make each gift special. With our gift ordering system, you can include your own corporate or brand logo along with a message that is included with every gift. Here are some of the cookie gifts we have available for Christmas. 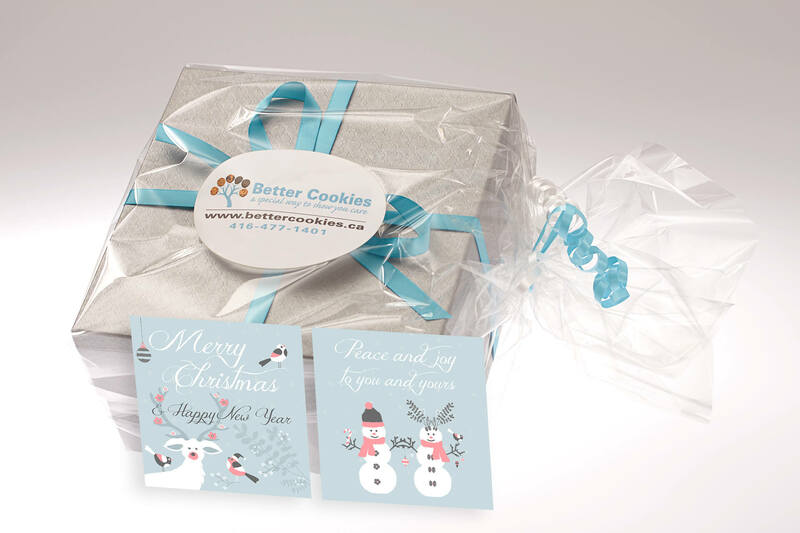 These small gourmet cookie boxes are delivered across Canada with local GTA delivery. They are an inexpensive Christmas gift. Each one is packaged by hand with care. 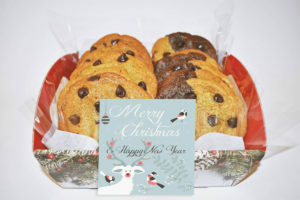 We have a limited number of the small festive cookie gift baskets. The baskets themselves are made of paper and look very nice. They can only be delivered within the GTA and surrounding cities by hand. 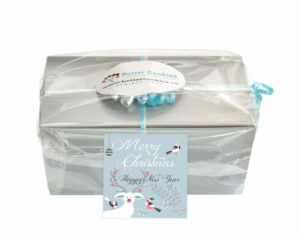 We also have stunning silver embossed Christmas gift boxes that hold two dozen cookies and up for larger corporate gifts. They are really an amazing gift to send to someone special. They are available for delivery across Canada. 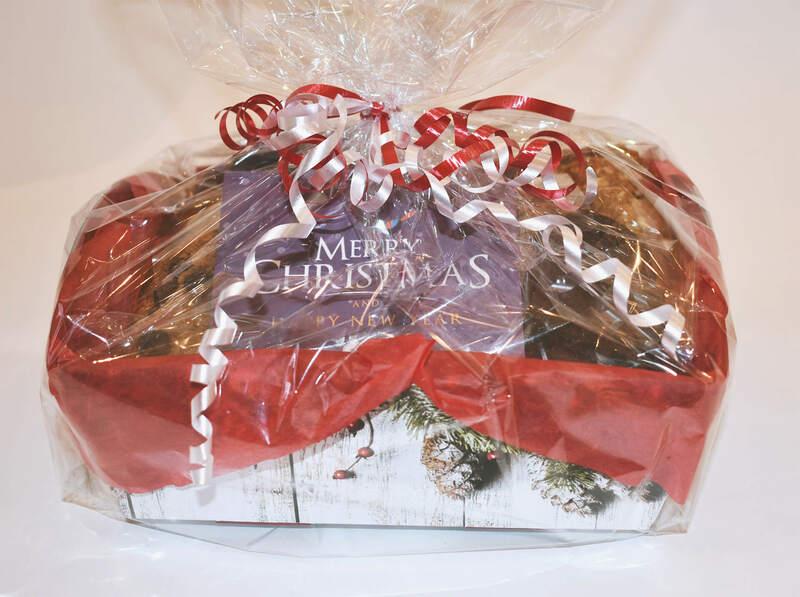 We create the freshest holiday gift baskets in the Toronto area. On top of our festive baskets, we also have a limited number of our wicker baskets available for Christmas. But, be sure to get your order in early if you are looking for gifts to send around the Toronto area. Please visit our Holiday and Christmas Gourmet Cookie Gifts section to see all the different cookie delivery gifts we have available. 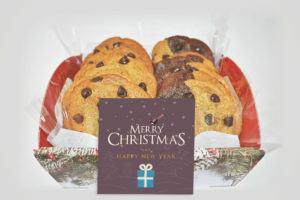 As we are a small Canadian business, if you want to send gifts of Better Cookies this year then be sure to get your order in early. 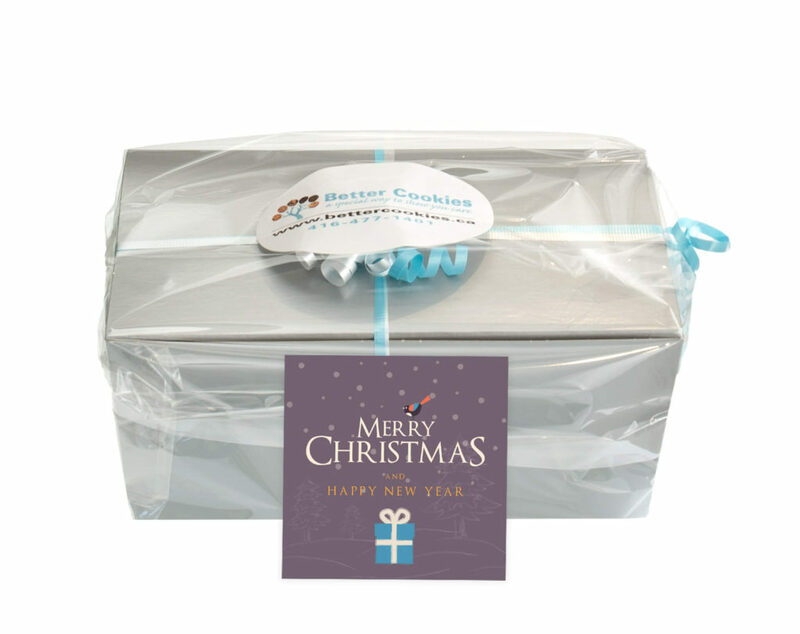 Most of our larger corporate clients place their orders in November or early December. This allows us time to plan and prepare to get everything ready for the Christmas cookie delivery date you select. 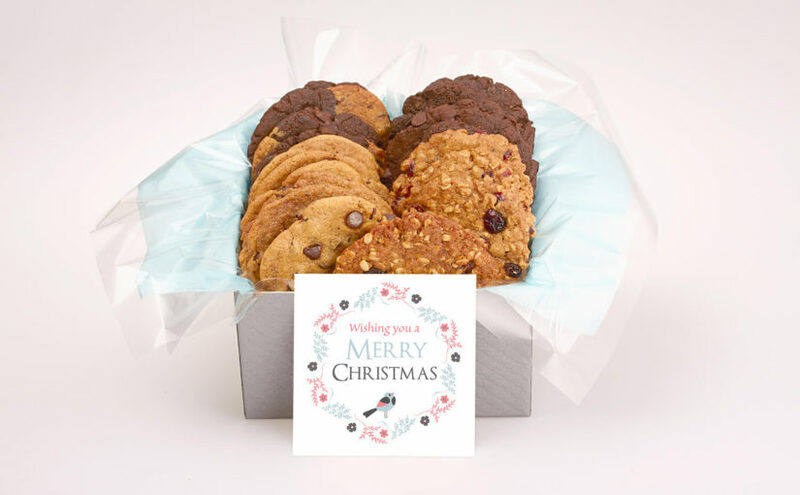 We also have hand packaged individually wrapped cookies, cookie jars and cookie bouquets available for corporate gifts within Oakville, Burlington, Hamilton, Mississauga and across Toronto. If you have any questions about our corporate gifts, please call us at 416-477-1401.